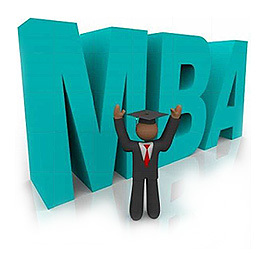 What is a Dual MBA? When a student earns a Master of Business Administration (MBA) in parallel with a degree in a different discipline as part of a structured academic program, their university often classifies the degree that they receive as a dual MBA. There are a number of reasons why students choose to pursue dual advanced degree programs. Students may have a passion for a subject, and they want to learn how to create a viable business that relates to their interests. Knowledge of some academic subjects are greatly enhanced by the understanding of the business environment. Some students also want the best of both worlds, and they seek to hone technical skills while learning the necessary business management principles that they will need to gain leadership positions within their companies. Here are some examples of dual programs for MBA students. The Juris Doctor (JD) and MBA dual degree program is one of the most popular options offered by universities who have both law and business schools. This type of degree is attractive to forward thinking students who know what it takes to move up the corporate ladder in today’s law firms. Besides a thorough understanding of the law, many firms want their corporate lawyers to know how businesses operate relating to their funding, marketing, human resource policies and procurement efforts. Also, senior leaders within law firms must know how to manage junior colleagues and lead negotiations. All of these knowledge areas and skills are taught within MBA programs. Dual programs usually take about three years to complete, and earning the dual JD/MBA degree requires less time and money than taking the degrees separately, according to US News and World Report. Minimizing negative impacts to the natural environment while maximizing available resources is a high priority issue for public government agencies and private businesses alike. Students who want to be involved with environmental policy development as a government civilian or an environmental management consultant with a private organization often take a dual degree that leads to a Master of Science (M.S.) in Environmental Resources and an MBA. Besides taking MBA classes in business management, supply chain operations and finance, students who participate in this type of dual degree program also enroll in science classes like microbiology, geology and chemistry. A drawback of taking this type of dual degree program is that courses taken usually cannot be used to satisfy requirements for both disciplines like they sometimes are for more directly related dual degree programs like the JD/MBA programs. Another popular dual degree program combines a Master of Engineering (MEng) with an MBA. This type of program is generally taken by engineers who want to move into technical management roles instead of remaining engineering technicians. MEng/MBA candidates are usually permitted to customize their educational experiences by taking courses from any of the engineering disciplines offered within their schools’ engineering departments. The MBA component of the program introduces students to accounting, finance, human resource management and operations management principles that give them the knowledge to successfully lead a number of special projects and programs. Most MBA programs are rigorous enough in their own right, and students who choose to participate in a dual program often have strong professional interests and set goals that help them to get through challenging academic course loads. Besides the obvious academic benefits of earning two advanced degrees, employers understand that dual MBA graduates can more than likely work well under great amounts of pressure.